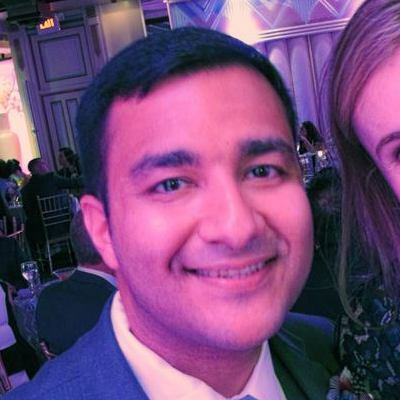 Already using spreadsheets or custom software? See this walk-through on how WholeCell will save you money and time. Check against iCloud Lock and IMEI Blacklist right from your inventory system. WholeCell instantly determines the manufacturer and model of a phone based on its IMEI. Every device gets a unique label with its own ID. Print from your favorite Zebra or Dymo printer. Download your inventory and upload POs and sales orders in spreadsheet format. A history for every phone you've ever bought, sold, or returned. Bring your warehouse online. 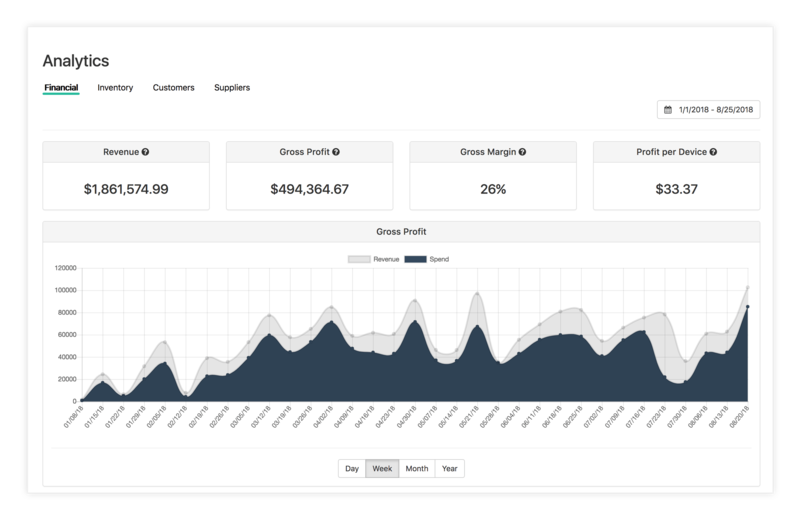 Instant financials on every deal, and long-term by product, by customer, by supplier. 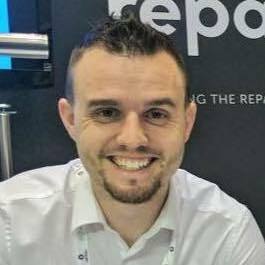 Upload offer spreadsheets from customers to get margin & profit. Tweak and send counter-offers. 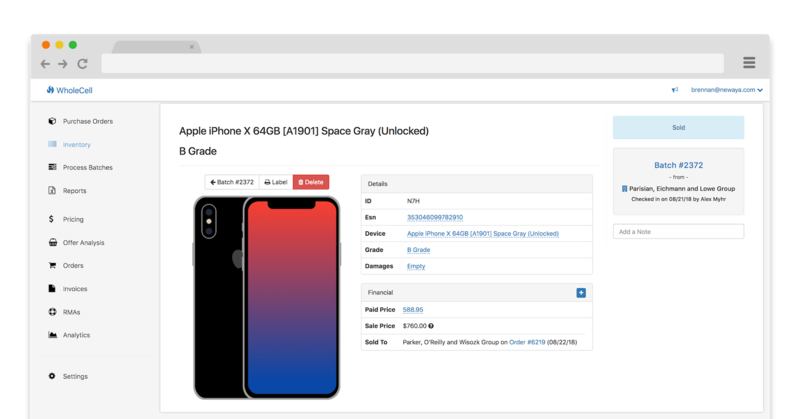 Automatically manage your inventory across eBay, Amazon, Shopify and other stores using SellBrite. 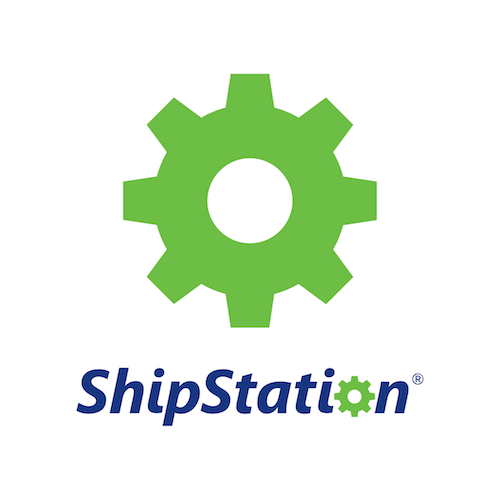 Use ShipStation to create shipping labels for orders and RMAs. Every sold device is tied to a shipment. "WholeCell has been a game changer for Device Renew. 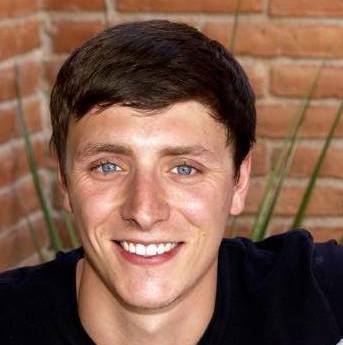 Not only is WholeCell built for our needs as a wholesale company but their team has taken feedback in areas we need for our business and implemented features to make our business run smoother." 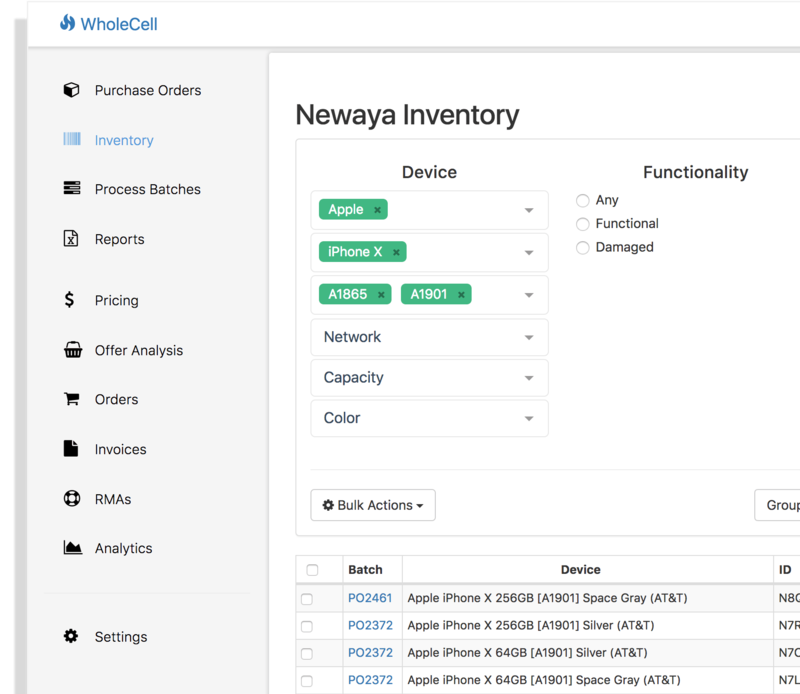 With WholeCell, every person on your team can work with your inventory in one place. Purchasing, receiving, testing, picking, shipping, and RMAs. Less time emailing spreadsheets means more time growing your business. "WholeCell does so much. 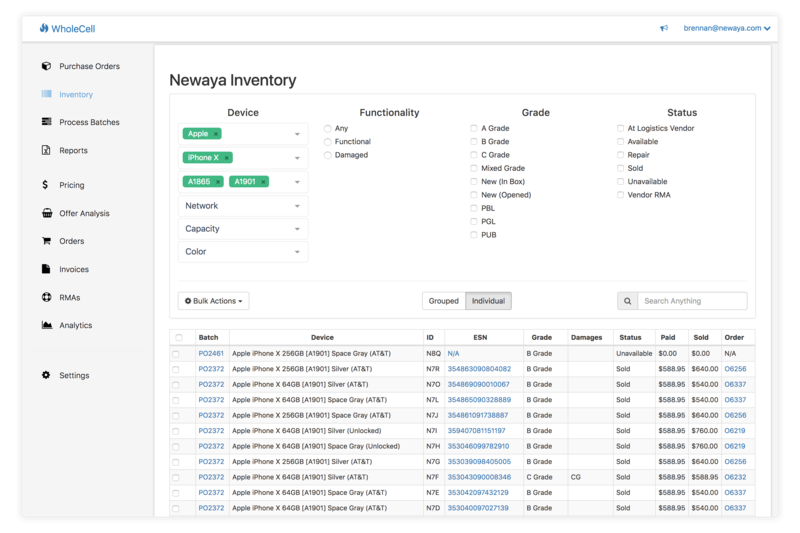 It allows me to organize all my inventory and easily categorize and track it. I was using Excel sheets and lost track with more devices coming in weekly so I use WholeCell to know what I have on hand. Best of all it barcodes everything!" 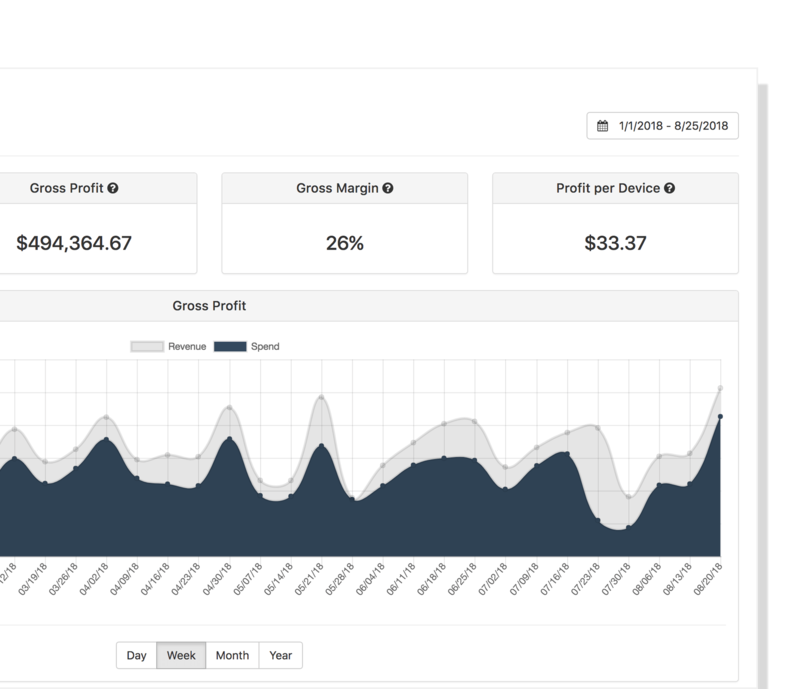 WholeCell's analytics show your margin across each device, vendor, customer, and deal. They're just a click away, and they're always up-to-date. 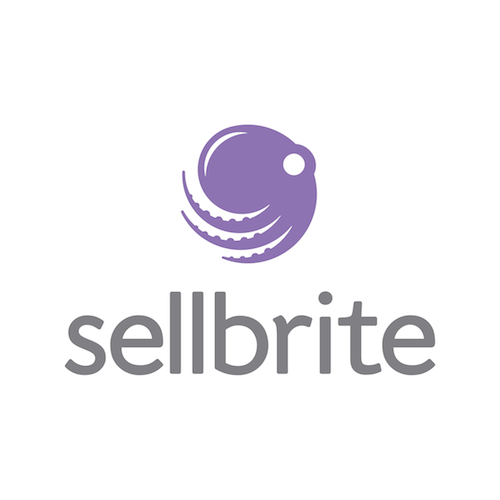 Sell inventory on online platforms with Sellbrite. Ship orders and generate labels in Shipstation. 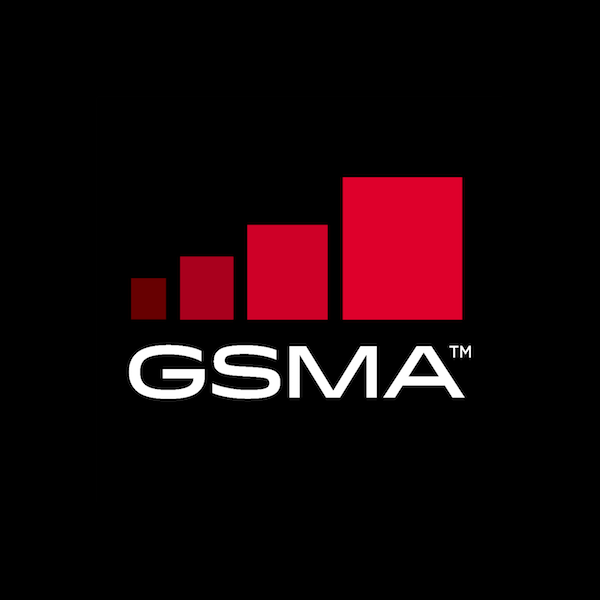 Check GSMA's blacklist for device ESN status. 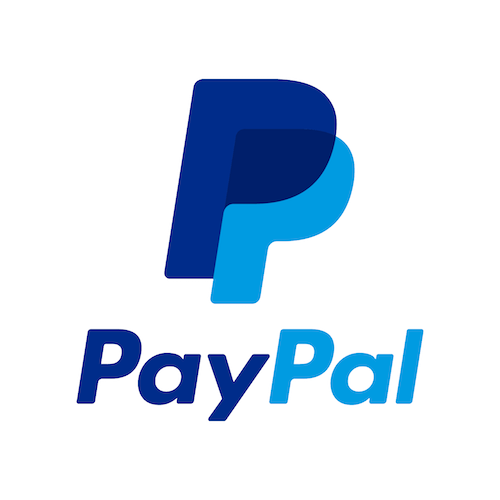 Invoice customers for payment on PayPal. "I caught a $3,000 error we made today. I would have never seen it without WholeCell."